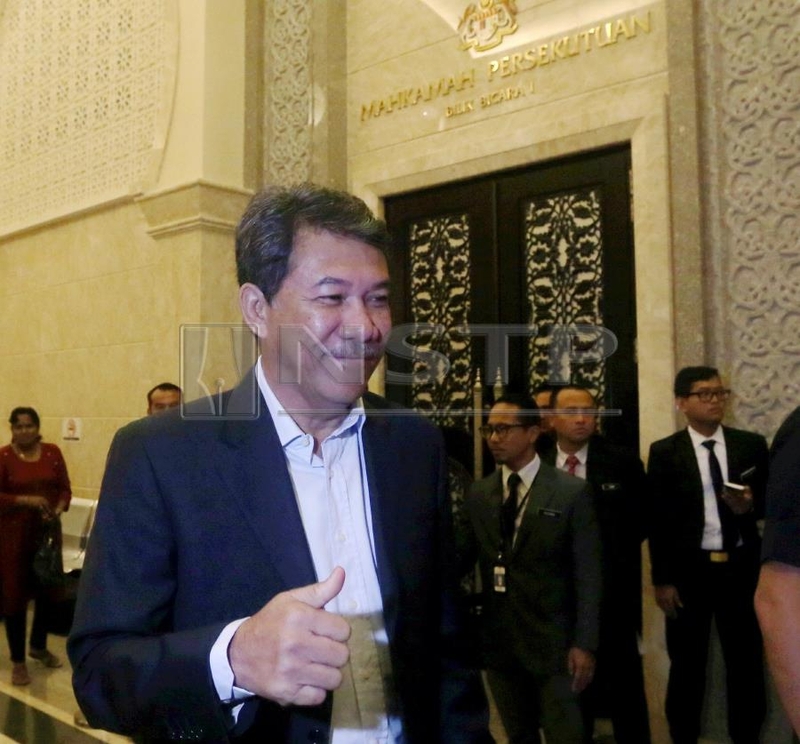 PUTRAJAYA: Umno deputy president Datuk Seri Mohamad Hasan has accepted the decision by the Federal Court to dismiss appeal on the Election Court's decision to hold fresh polls for the Rantau state seat. The former three term Rantau state assemblyman said he respected the apex copurt's decision and had in fact prepared for a possible by-election for a long time ago should the need arose.
" I accept the decision with an open heart. We must respect the law. "I respect the decision and I had always been prepared if at all a by-election would be held again," he said when met outside the court house today. Asked if he had expected such verdict by the Federal Court, which was not in his favour, he said he had not expected it. "Counsels representing the Election Commission and me did their best but the Court had decided. "I have to wait for the writ by the EC on when the nomination of the candidate will be held. It will be soon. Insya-Allah," he said . The Federal Court dismissed the petition by the former Negri Sembilan Menteri Besar and the Election Commission today. The decision would also mean another by-election would be held for the Rantau state seat which comes under the 36 strong Negri Sembilan State Assembly. The former Negri Sembilan Mentri Besar won the Rantau seat uncontested in the 14th General Election, after his sole challenger Dr S.Streram from Pakatan Harapan, failed to file his nomination papers. This was after opponent was denied entry into Dewan Sri Rembau, where the nomination took place. Dr Streram was not allowed into the nomination centre because he did not have a candidate pass issued by the Election Commission.